UGC documents about eligibility to the scheme used the terms 'world-class' and 'world-ranking' interchangeably, failing to reaffirm that only those institutes with strong science, engineering and medicine faculties really had a chance. On July 9, the Ministry of Human Resource Development (MHRD) formally released the names of six Institutions of Eminence (IoE) selected by an Empowered Experts Committee (EEC) chaired by N. Gopalaswami. The Indian Institute of Science, Bengaluru, and the IITs of Bombay and Delhi made the list among public institutions. The Birla Institute of Technology and Science, Pilani; the Manipal Academy of Higher Education and the Jio Institute were the three private institutions selected. According to Gopalaswami, the selection of the six institutions was made keeping in mind whether they could become world-ranked institutions over 10-15 years. The announcement on the six selected institutions created lots of controversy, thanks chiefly to the inclusion of Mukesh Ambani’s Jio Institute, a greenfield institution that currently exists only on paper. But there are several other issues about the selection that are problematic. For example, it is widely accepted that the gap between the two IITs selected and other older IITs such as those of Madras, Kanpur and Kharagpur is not significant. Why then were these IITs left out? According to an EEC report posted on the University Grants Commission (UGC) website on July 11, other than the three public institutions that made the cut, the names of five others had been recommended: IIT-Kgp, IIT-M, Delhi University, Jadavpur University and Anna University. There is talk that these five might after all be declared Institutions of Eminence. Setting aside the issue of whether these eight institutions deserve to be IoEs, why were five eventually excluded? 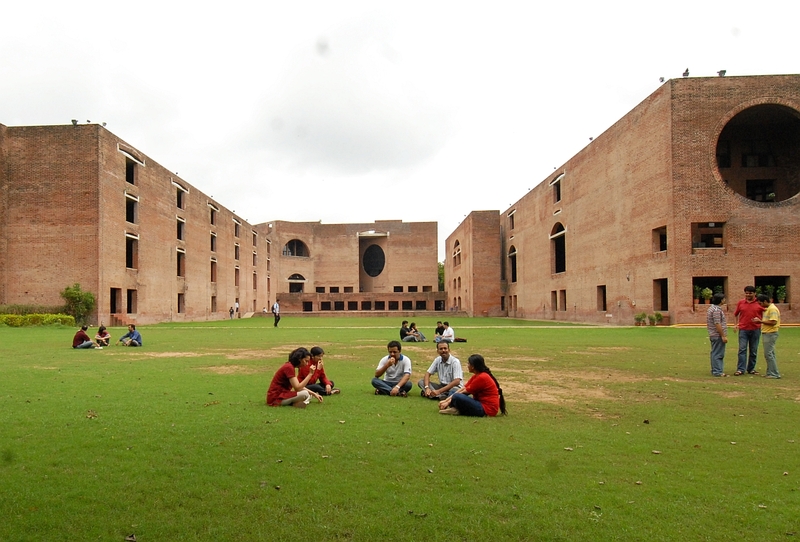 Among private universities, critics have also questioned why some of the country’s best private universities like Ashoka University, O.P. Jindal University and the Indian School of Business (ISB) did not make the cut, or even other greenfield institutions backed by Anand Mahindra and Sunil Mittal? Questions must also be asked about the process of selecting the institutions. For example, the government has not publicised the names of all applicant institutions until now. The government extended the initial deadline of December 12, 2017, to February 22, 2018, for institutions to submit their applications – after 100 institutions had already applied – and that too a month or so after the original deadline had passed. The numbers of applicants increased to 114 after the revised deadline. Which 14 institutions applied during that period? Did the government give this time extension to benefit select few institutions? Finally, why was the EEC sent back to its chambers in April 2018 when it had reportedly shortlisted 40 institutions with respect to their performance in national and international university rankings? One of the most mediocre aspects of the government’s IoE project so far has been that UGC and government officials on the one hand and applicant institutions on the other did not share a common understanding of what the IoE initiative was about. As a result, 100+ institutions applied for the IoE tag with a majority having zero chances of being selected. Why did this happen? The question is important because many of the criticisms about the selection of Jio Institute are based on the argument that X or Y should have been selected because it is already a premier existing institution, whereas Jio is just a plan. The blame for this situation lies primarily with the UGC and, to a lesser degree, with the applicant institutions themselves. According to the IoE Regulations and the IoE Guidelines, prepared by the UGC in 2017 to invite select universities to apply for the IoE tag in September 2017, selected institutions are expected to break into world university rankings (and not subject rankings and such). To paraphrase the relevant portion: They should feature among the top 500 in any notable ranking framework (e.g. the Times Higher Education World University Rankings) in the first decade of operating as an IoE, and eventually achieve a top-100 rank (4.2. 19 in Regulations 2017). Given such high expectations, only those institutions that are strong in science, engineering and medicine should have been asked by the UGC to apply. This is because everyone who has a basic understanding about how world university rankings work knows that it is an institution’s research strength in these subjects that drives rankings, irrespective of how good the other faculties are. Nearly all the top universities in the world have strong humanities and social science departments but they are not highly ranked because of that at all. Alternately, many of the 100+ institutions that applied should have surmised from the IoE regulations and guidelines that they would be wasting time and money (all applicant institutions were required to pay an application fee of Rs 1 crore, though for public institutions, it was indicated that Rs 75 lakh would be returned if they weren’t selected) in preparing and submitting their applications. So why did business schools like the IIMs and the ISB as well as pure social science institutions such as the Tata School of Social Sciences (TISS) apply? They did because the contents of both the IoE Regulations and the IoE Guidelines documents are confusing and make contradictory statements about the IoE initiative’s objectives: whether it is to create world-ranked or world-class universities. The former is one that holds a rank in the world university rankings chart. The latter is only a good university, perhaps even an excellent one, but does not have a place among the ranked institutions in the world. This confusion begins in the ‘Introduction’ in the IoE Guidelines 2017 and in the ‘Preamble’ of IoE Regulations 2017. To provide an enabling regulatory architecture to ten public and ten private Higher Educational Institutions to emerge as world-class Teaching and Research Institutions (emphasis added). So while the two documents state clearly that IoEs are expected to become world-ranked, they repeatedly use the expression “world-class” to suggest institutions that are world-class or are seeking to become world-class could apply the IoE label. This suggestion is confirmed in two other ways. 3.1 The present guidelines shall apply to Government Institutions viz. Central Universities, Government owned and controlled Deemed to be Universities, Institutions of National Importance such as Indian Institutes of Technology, Indian Institutes of Information Technology, National Institutes of Technology and Indian Institutes of Science Education and Research, Government owned standalone Institutions working under individual MoAs, such as Indian Institutes of Management and State Universities set up under a law made by Legislative Assembly of a State (Collectively referred as Government Institutions of Eminence). 6.3.1 Total of ten Institutions under this category shall be selected to be declared as Institutions of Eminence. 6.3.2 These ten Institutions would be a mix of technical institutions, management and arts institutions and central universities. So it is explicitly stated that those selected will “be a mix” even though management and arts institutions have zero chances of becoming world-ranked. And the applicant institutions, instead of recognising their limitations, entertained the possibility that they might be selected as an IoE because the EEC would be selecting a mix. After the government publicised the list of six selected institutions, some said it was wrong of the EEC to reject proposals by the ISB and a few other greenfield or brownfield institutions even as the Jio Institute proposal had been accepted. There is no comparison between the IIMs and ISB on one hand and the Jio Institute on the other because Jio aims to be a comprehensive institution. The EEC clearly privileged the expectations aspect of the IoE initiative and ignored the rest. The UGC is solely to blame for this. Since selected IoEs were expected to become world-ranked, the UGC should have clarified that ISB, TISS, IIHS, etc. had no business applying. It’s quite likely that there were informal discussions between UGC officials and these institutions, in which the officials did not discourage them to apply. If they had, the fairly large number of business schools that applied would not have. Of course, it is also likely that at that time, the UGC officials were themselves not clear about what the IoE initiative was about. At the same time, specialised institutions that do not include science, technology and medicine departments or schools should themselves have not bothered to apply knowing that they don’t have a chance at breaking into world university rankings. Perhaps they were tempted to do so because both the IoE Regulations and IoE Guidelines docs more than hinted that they had a chance of being selected, and UGC officials did nothing to dispel the idea. So some of the prevailing controversies about the selection of the IoEs could have been avoided if these docs had been clearer about eligibility as much as they were about expectations. The part about selecting a “mix of institutions” should’ve been left out. Beyond that, the UGC ought to have discouraged many of those interested because world rankings, unlike world class, is a game to be hacked with fixed dos and don’ts. 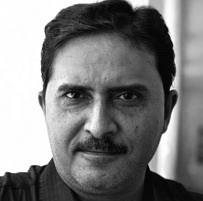 Pushkar is director of The International Centre Goa (ICG), Dona Paula. He tweets at @PushHigherEd. The views expressed here are personal.